The 44th annual March for Life took place last Friday, January 27 in Washington, D.C. I haven’t seen an official estimate for how many participated, but most seem to think there were hundreds of thousands of people present. How encouraging to see so many people—of various ages and races—stand up for the unborn! One of this year’s speakers at the rally was Baltimore Ravens tight end Ben Watson. I love this brother and so appreciate his willingness to speak out on behalf of the unborn, even when it’s unpopular to some. He also speaks out often on the subject of racial justice, which is unpopular with others. (I’ve shared before about Ben’s book Under Our Skin, and you might also like to check out a forum on race and faith he’s doing with others, including Tony Dungy, on February 16.) People often are selective, embracing some justice causes and not others. I admire Ben for being consistent even though the same people who applaud him for one thing may criticize him for another. “If I were still trying to please people, I would not be a servant of Christ” (Galatians 1:10). At the March for Life, Ben gave a great reminder that being prolife involves valuing life from conception to the grave. He also called men to lead the way in speaking up for the unborn and caring for women. I’m encouraged to see this, because abortion isn’t “just” a women’s issue. It’s a human issue, and its effects are devastating to women and men—and children—alike. 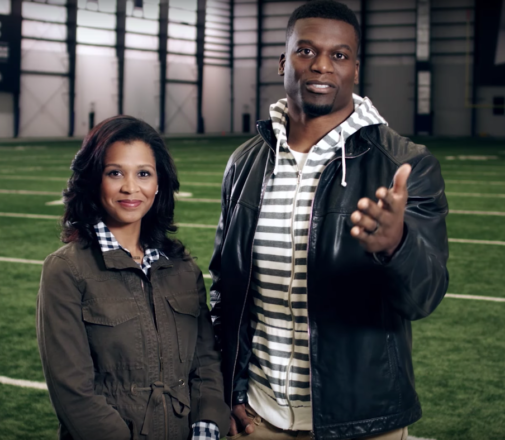 By the way, Ben and his wife Kirsten are the hosts for Football Sunday, which is a free, professional video presentation produced by The Increase. It features several athletes telling their stories and sharing about faith in the NFL. Churches can sign up to use it during their services, and individuals can also show it to those gathered in their homes. One idea is to use it as a positive alternative to the halftime show on Super Bowl Sunday!